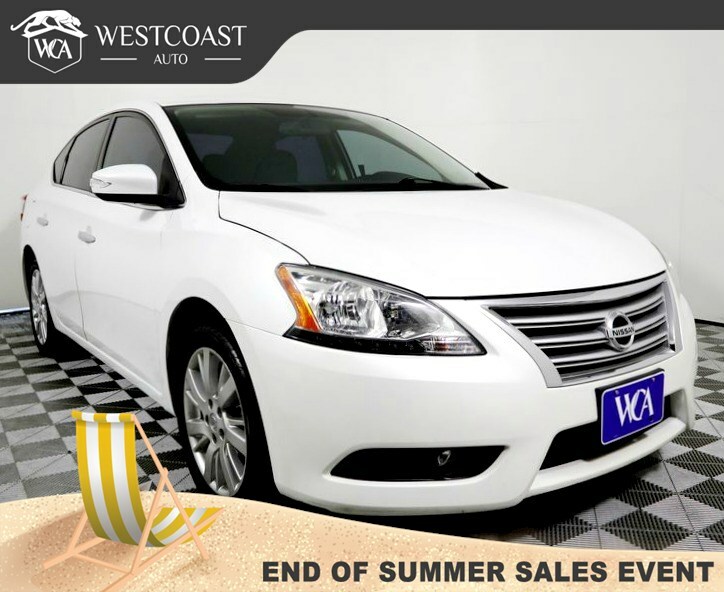 Meet our amazing One Owner, Clean CarFax 2013 Nissan Sentra SL shown off in a sparkling Aspen White. Powered by an efficient 1.8 Liter 4 Cylinder that generates 130hp while tied to a seamless shifting CVT. Together, they make your daily commute more exciting while managing an impressive 39mpg on the open road. To match the spirited performance, the Sentra has a great looking aerodynamic body with stunning wheels plus features LED accented lighting. Check out our pictures, see an impressive interior that is well-designed with premium features like chrome accented gauges, maple wood-tone interior trim and leather-wrapped steering wheel. Stepping up to the SL, you receive Nissan's Intelligent Key w/Push Start, dual zone automatic climate control, Bluetooth hands-free phone system and audio system featuring a nice Color Monitor and a USB Connection Port. Six airbags, anti-lock braking system, traction control system, vehicle dynamic control and even a tire pressure monitoring system w/Easy-Fill Tire Alert work together to not only keep you safe in the event of a crash, but also to help you avoid an accident altogether. Stylish good looks, premium features and great gas mileage mean this Sentra represents an amazing value. Print this page and call us Now... We Know You Will Enjoy Your Test Drive Towards Ownership!